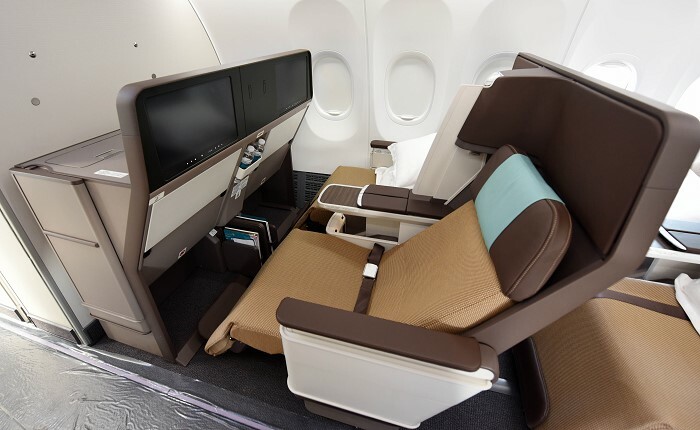 Predicting the future is perilous, but news that Emirates’ Sir Tim Clark has finally announced the airline is moving forward with the introduction of a premium economy cabin invites some speculation on what this long-anticipated cabin will look like. Emirates generally likes to offer something more than its competitors, but it will also want to keep the baseline product reliable and deliverable. This makes it unlikely that the airline will commission an entirely new seat. It’s more likely that Emirates will customize a proven baseline model. 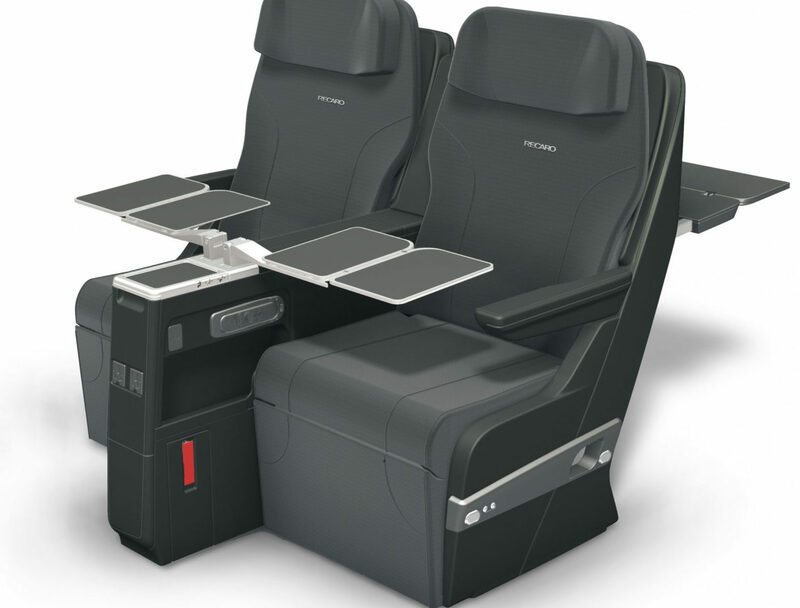 There are a number of beautiful options available which would fit Emirates’ premium economy cabin, including the ZIM Flugsitz GmBH seat, which was customized for Singapore Airlines’ premium economy cabin by JPA Design; Qantas’ premium economy seat by Thompson Aerospace; and the Rockwell Collins MiQ seat which features on American Airlines’ premium economy cabin. A customized version of Zodiac Aerospace’s Z600 Long Range seat would also be a good fit. There are other recliner chair models from various manufacturers that would work. But perhaps the answer is none of the above. Why? Emirates said it will surprise passengers with something special. It may go for the unexpected, moving away from the now common premium economy “easy chair”. There are limits. The offer has to be tempting enough to get them to buy up from economy class without burning sales of business class. The product should be worth a new scale in the price gap between the two classes, but is unlikely to include lie-flat sleeping. That feature would come too close to a main selling point of the business class experience. Some narrowbody and regional business class seating could offer passengers the next best thing to lying flat – flying weightless in a private cradle. 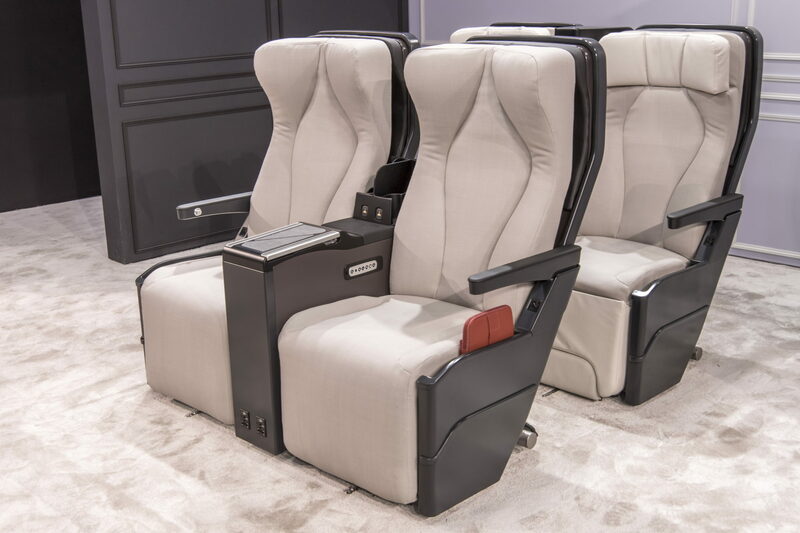 The new Air Rest by Rockwell Collins, which debuted as a business class seat on Oman’s narrowbody 737 MAX fleet – ticks some very attractive boxes. It offers cradle-style seating to relieve stress points from sitting for extended periods of time. The Air Rest offers a lot of personal living space, including a divider privacy screen. Emirates has made privacy and personal space a priority on its premium products. These are fixed-shell seats, so reclining does not interfere with other passengers’ space. These seats offer a lot of storage, which may be valued by Emirates passengers on longhaul routes. They also accommodate next-generation IFE with a theatre-quality screen. Cutting-edge inflight entertainment is a standard of the Emirates passenger experience. Another strong contender, perhaps, is the Stelia Celeste seat which has 40-degree recline cradle-style seating. It also offers a privacy divider option and comes standard with a fixed shell back. 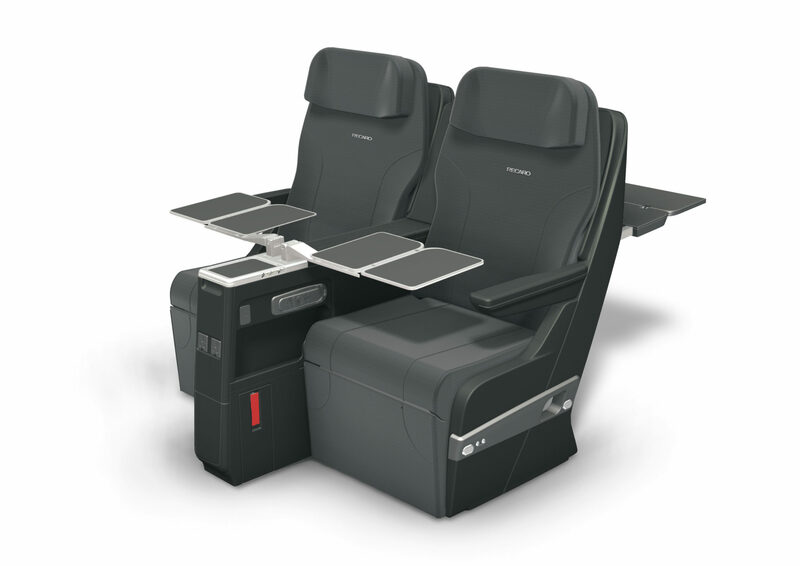 The Recaro CL5510 regional business class seat is yet another solid option. It offers similar benefits of comfort and personal space. Emirates will likely continue its brand alignment with luxury vehicles – something the airline has done both with its new business class and first class “Gamechanger” product. Whatever seat the airline picks, it will likely have an automotive cut and style, maybe even a Mercedes-Benz signature. The airline will also introduce soft products to go with the new cabin hardware. We might expect a new amenity kit, luxury pillow and blanket, and perhaps a customizable dining menu to compete with Singapore Airlines’ ‘Book the Cook’ service. The introduction of a self-service snack and beverage bar to this cabin would be a nice touch. The premium economy cabin would launch on the airline’s new Airbus A380 aircraft to be delivered starting in 2020. We’ll know soon enough whether we need to give our crystal ball a fresh shine or just toss it out.